The Rivers State chapter of the All Progressives Congress, APC, said it was pleased with the state governor, Nyesom Wike for following the footstep of former governor Chibuike Amaechi in visiting the bereaved families in Omoku, ONELGA. The APC further alleged that governor Wike, employed the late kidnap kingpin, Don Waney to kill members of the opposition party. The APC said this in a statement signed by its Publicity Secretary, Chris Finebone and made available to newsmen in Port Harcourt on Wednesday. The APC said “We have no reason to be worried when a weird character engages in an equally bizarre joke. 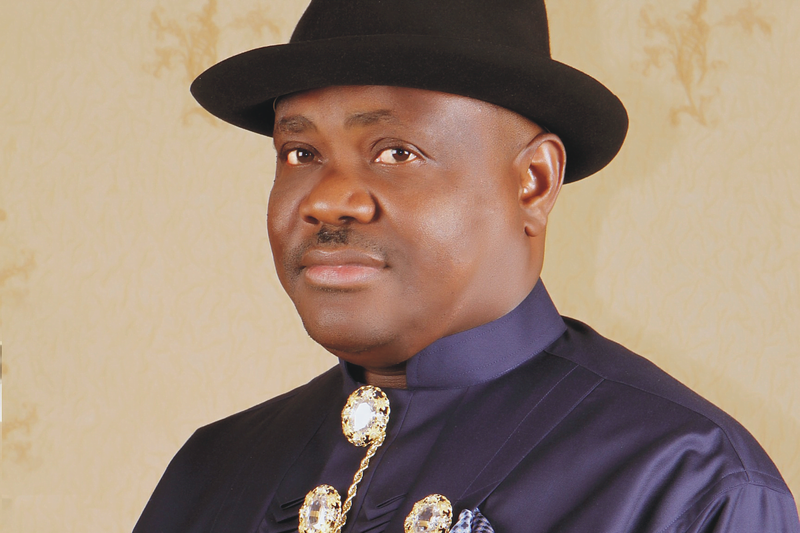 “It is possible that governor Wike does not see the right picture each time he is in front of a mirror. If he does, then he will at least, acknowledge that he, and not the APC or Chibuike Rotimi Amaechi, that believe in triumphing in electoral contests chiefly through spilling of blood. “We believe that Nigerians, including the respected Prof. Itsay Sagay who described Nyesom Wike as having climbed on dead bodies to become governor know that much. Need we stress that further? “We are convinced that governor Wike only went to ONELGA to make a huge show because his point man, Johnson Igwedibia alias Don Wani is dead. “Why did Gov. Wike not visit ONELGA when the likes of late Chief Christopher Adube, Ward 4 Chairman, late Franklin Obi, Hon. Monday Eleanya and other APC members were gruesomely murdered and beheaded by Don Wani and his gang over the years? “It is important to make it abundantly clear that there are overwhelming pieces of evidence in public space and hopefully with security agencies confirming that the governor and his party (PDP) commissioned Don Wani to kill APC members in the ONELGA axis. They go beyond the photographs the governor and his key allies appear in with Don Wani. “As a party, we understand what is happening to governor Wike over his ONELGA burst bubble. The day Wike’s equivalent of Don Wani in the Yeghe axis meets his waterloo, the governor will also visit Bori, gather victims of the Yeghe killer and make donations of blood money to them. “The message of the APC to governor Wike is that every game comes to an end, one way or the other. “The way his game has ended in ONELGA is the same way it will end in Yeghe and elsewhere in Rivers State. Trying to drag APC into the fray is manifestly disingenuous and sheer waste of valuable time. “The APC will never subscribe to anything else than zero tolerance for criminality in all aspects of its engagement with the people. “Our leaders respect human life, they do not threaten death to anyone like the governor does at the slightest opportunity.